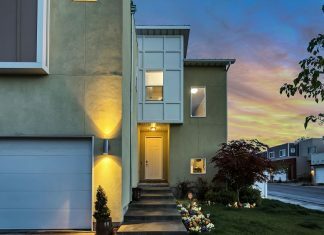 Roohome.com – Now we would like to introduce you a simple apartment design which is suitable for you to apply. The design is combined with a wooden accent and white color in order to create a minimalist and trendy appearance. The white color is chosen by the designer along with modern ideas in it. 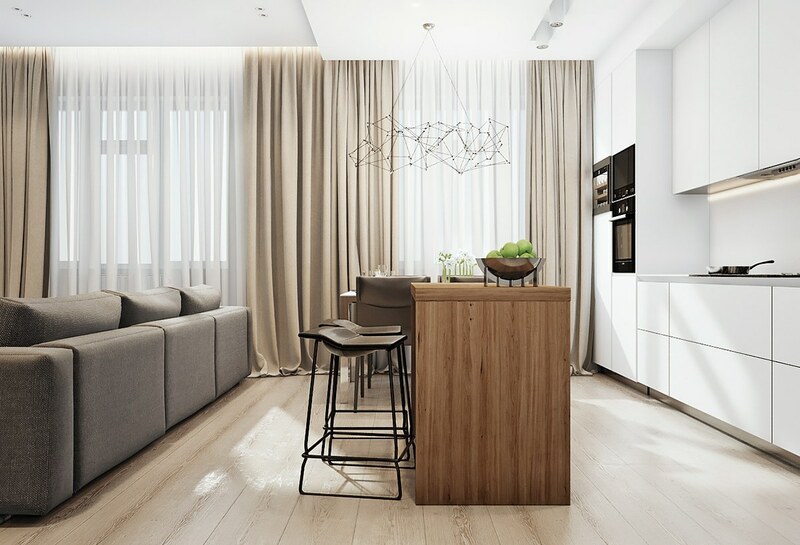 Having this simple apartment design will not make you confused anymore while designing your apartment. Besides that, you also may combine with another arrangement if is needed. Are you curious about the design? 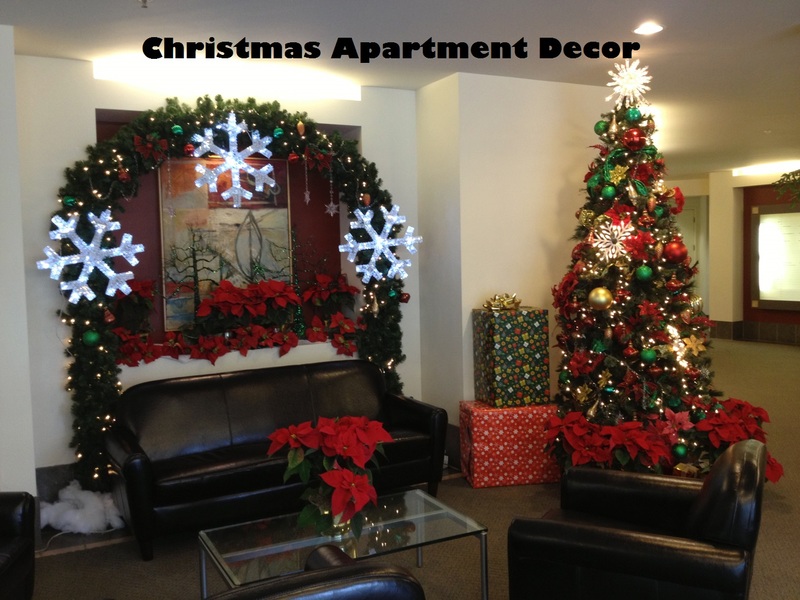 Let’s take a look the simple apartment interior design ideas below. 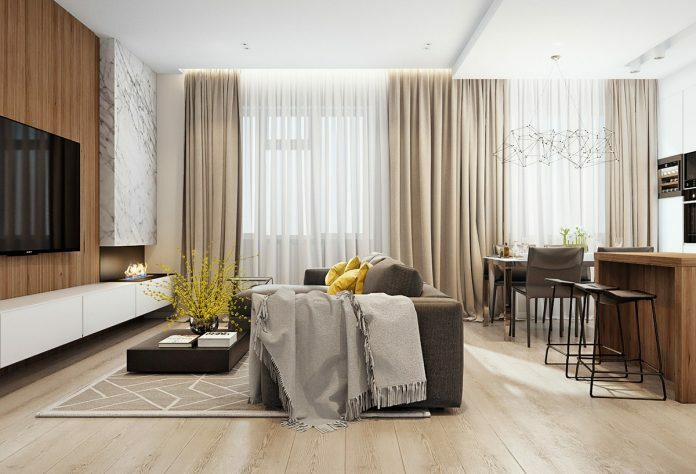 If you have small space in the apartment, you must be smart to decor your living room with an open plan concept. This is a great idea that can make your design looks perfect. Here, you may apply a simple open plan living room design with a white color accent which can make better. 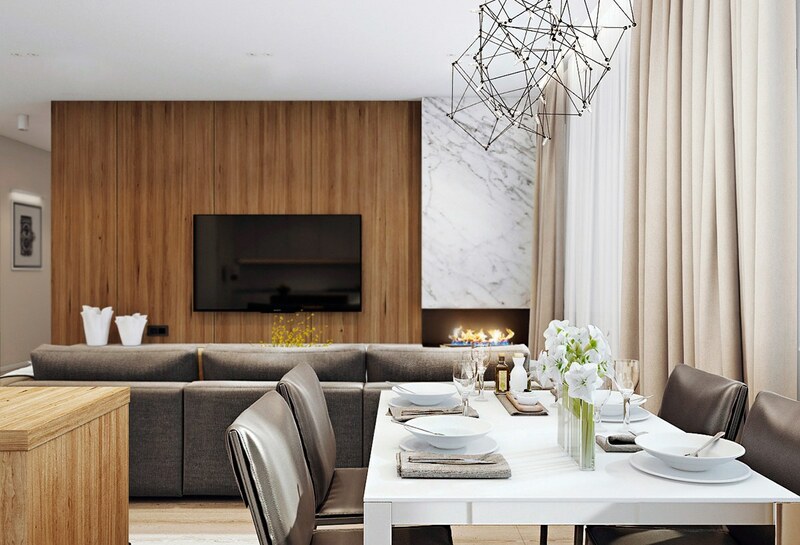 The space between a living room and dining room in this simple apartment interior design ideas may you put into one room. To decor the wall or floor, you may use wooden accent to complete your design. Put small shelves in the corner of the room that you can use also as the complement decor in it. The next, for the bedroom, you must make it into a minimalist design. 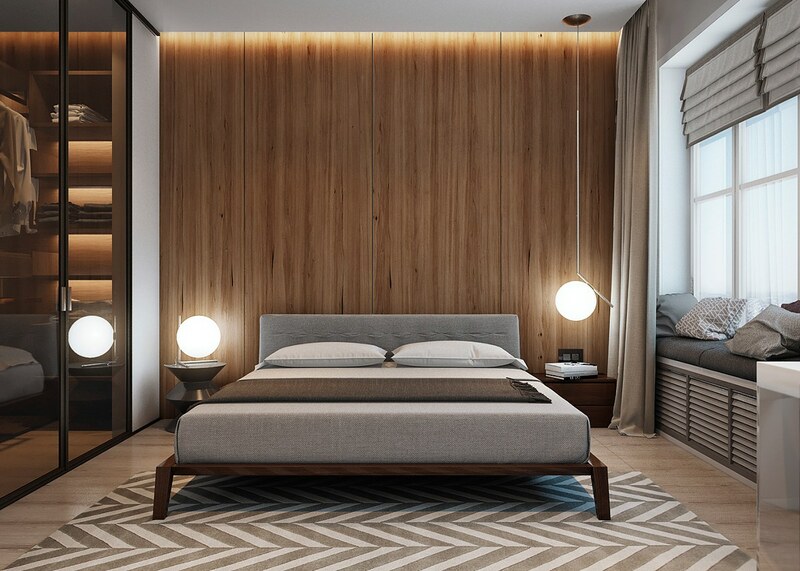 For that, the designer introduces another design of simple apartment design that applying a simple bedroom design combined with a wooden and minimalist decor. This wooden accent will make your design looks so minimalist and trendy even your design is very simple. 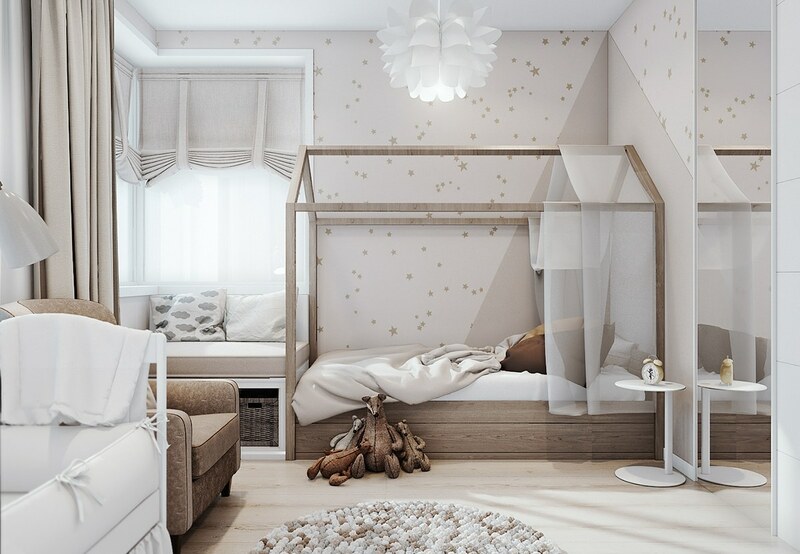 For you who have a baby or child, you may make a nursery bedroom that very suitable to apply for your child’s room. You may use a perfect and awesome decor in it. 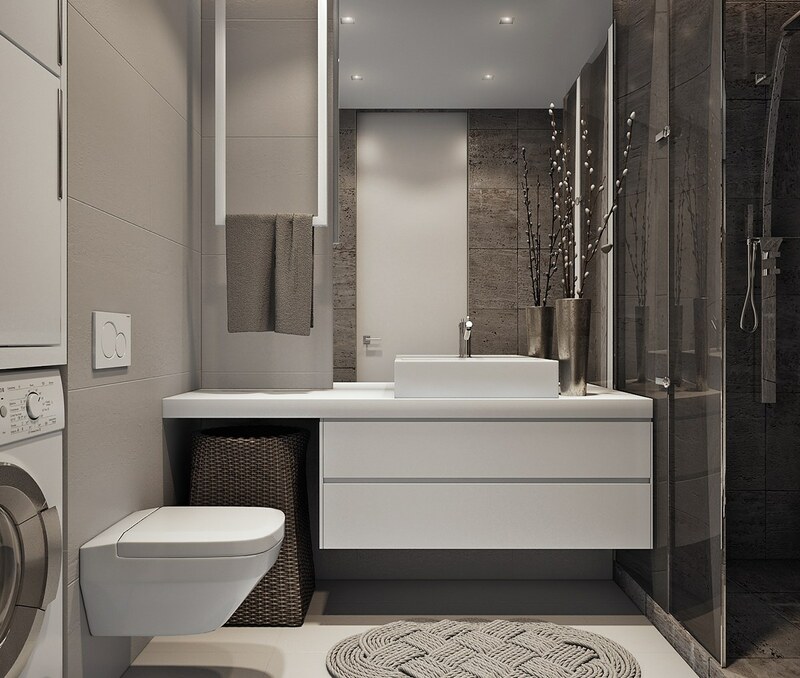 Then, for the bathroom, you may design it with an attractive design that very compatible to apply. 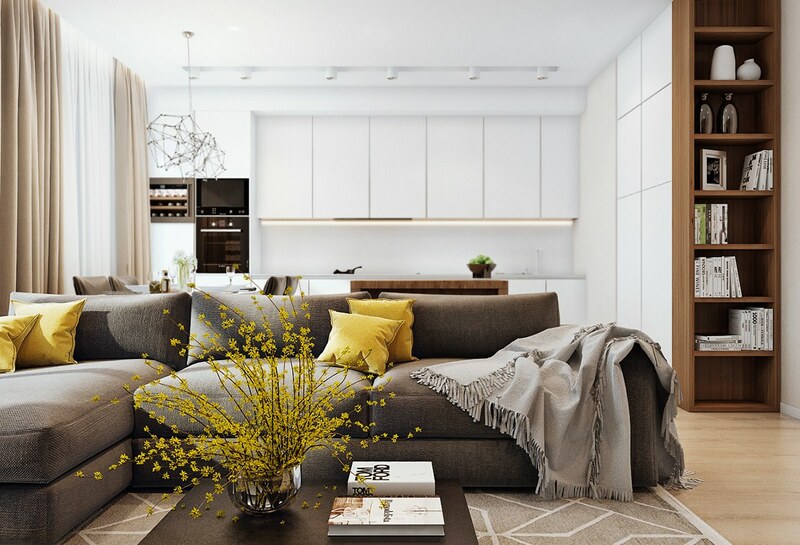 The designer chooses a gray color as the primary color in this simple apartment interior design ideas. 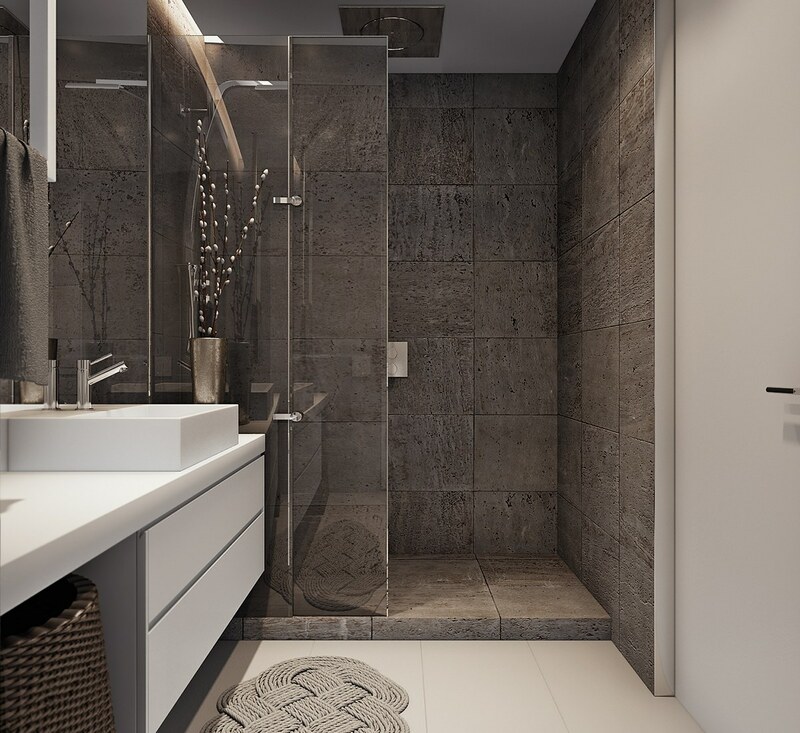 To support your design, you may choose a granite as the wall texture design that combined with gray color design. This will make the design looks cool and attractive. 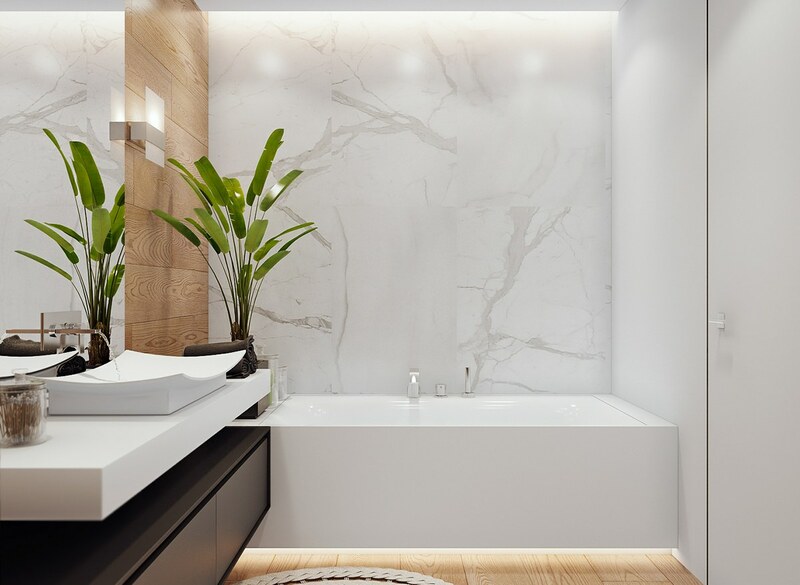 Do not need to add much of decoration, just add a decorative plant to make this simple gray bathroom design idea looks so fresh. 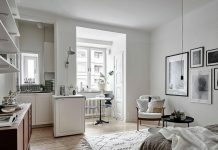 Do you interested in this simple apartment design? So, let’s go follow and apply it for decorating your apartment. Then, if you want to know other design, let’s go check here.